Please note: We would be happy to customize any of these sponsorship levels for you or your business. Let’s get creative together! 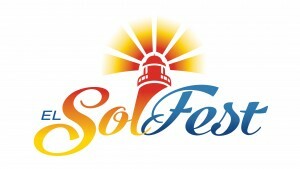 Please make checks payable to El Sol and mail to the attention of Karen Clark. For tax purpose, this receipt will serve as our official acknowledgement of your contribution in accordance with Section 501 (c) (3) of the Internal Revenue Code. El Sol, Jupiter’s Neighborhood Resource Center did not provide any goods or services in whole or partial consideration for this contribution. A COPY OF THE OFFICIAL REGISTRATION AND FINANCIAL INFORMATION MAY BE OBTAINED FROM THE DIVISION OF CONSUMER SERVICES AT WWW.800HELPFLA.COM OR BY CALLING TOLL-FREE (800-435-7352) WITHIN THE STATE. REGISTRATION DOES NOT IMPLY ENDORSEMENT, APPROVAL, OR RECOMMENDATION BY THE STATE. REFER TO REGISTRATION #: CH23372. 501 (c) (3) Tax Exempt #: 01-0870672.